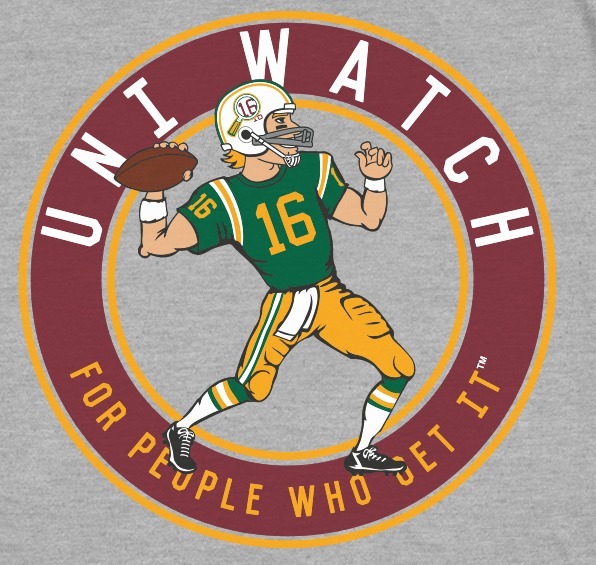 The Uni Watch T-Shirt Club’s fifth limited-edition release of 2016 is our football design. Our player looks sharp in his Uni Watch colors, Retro-UCLA-style sleeve stripes, and 2-bar facemask. 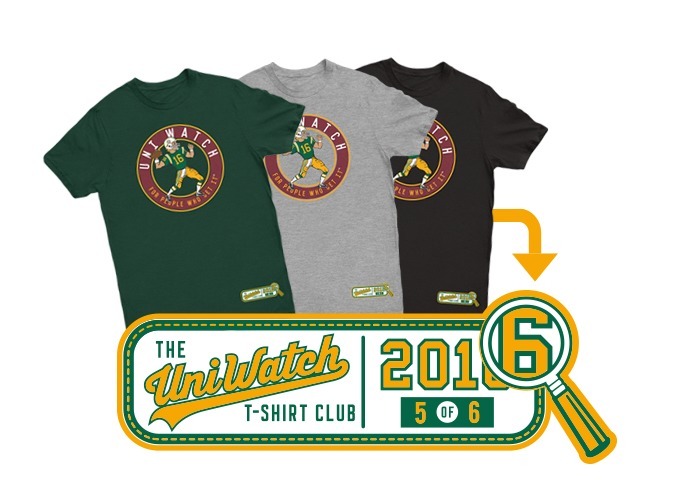 He definitely Gets It™!